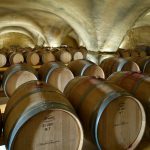 Winelovers and visitors all around Greece will have the opportunity to gain a unique tasting and travelling experience by participating in “Open Cellar Doors” which is organized collectively by Greek Wine Producers Associations and their wineries – members. “Open Cellar Doors” is an initiative of the European network of wine cities, in which Greece participates. The aim of this initiative is to organize “events” focusing on the wine of every winery open to public. The events will motivate customers get acquainted with Greek wine and the winmakers. On Saturday May 26th and Sunday May 27th 2018, from 10 in the morning to 7 in the afternoon, winelovers will be given the opportunity to tour around the Wine Roads of Greece and participate in multiple activities which include tours, live cooking, tasting, competitions with great prizes and other surprises. It is worth mentioning that admission to wineries on 26-27 May is free. Plan now your own “getaway” and engrave your own wine route. No matter where you are in Greece, travel in the countryside and visit one or more wineries. Initiate yourselves into the magical world of wine, enjoy the vineyard setting, get to know the winemaking procedure and taste exceptional Branded Greek Wines. Domaine Porto Carras has designed a special programme full of activities including Wine Tasting, Wine Tours, Wine Safari with 4×4 Jeeps, Live Cooking, Wine Cocktails Lesson, Chocolate Masterclass, Treasure hunt and much much more!